World whiskies are vying for space in the larger spirits category. World whiskies are booming at Binny's Beverage Depot in Chicago (shelf pictured). The entire whisk(e)y category is a force to be reckoned with. Bourbon’s rapid growth shows no signs of slowing, with the super-premium end alone rising 10.5% to 5 million 9-liter cases in the U.S. market last year, according to Impact Databank. Scotch whisky, too, is faring well, with export sales reaching an all-time high of around $6 billion in 2017 and shipments to the United States growing 7.4% to 9.9 million cases. In addition to gaining more fans each year, world whiskies are earning top industry accolades. Of Whisky Advocate’s Top 20 Whiskies of 2017, two are world whiskies: Rampur Select from India ranked No. 5 with a 93 score and Fukano 2017 Edition, a Japanese whisky, came in at No. 20 with a 90. “Consumers are venturing out to try whiskies from other countries and learning about the quality that’s coming from nontraditional markets,” notes Raj Sabharwal, founding partner and managing director at Glass Revolution Imports. The company handles several international single malts, including Amrut from India, Sullivans Cove from Australia, The English Whisky Co. from England, and Hammerhead from the Czech Republic. “Consumers are also more willing than ever to move toward the premium and super-premium end, which has been a boon to world whisky brands like ours, which range from $55 to upwards of $650,” Sabharwal adds. 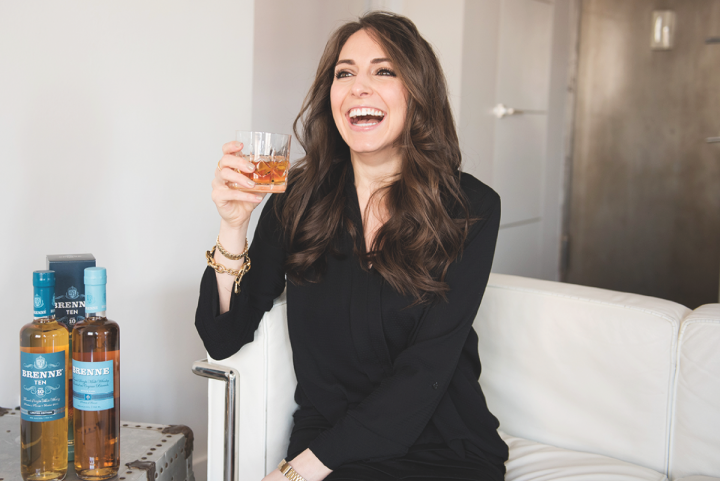 French single malt whisky Brenne (founder Allison Parc pictured) is part of a French whisky category that as a whole shipped 108,000 proof gallons to the U.S. last year, on growth of almost 36%. Boccanfuso notes that although sales of whiskies from nontraditional countries are rising, this is still a key time for education. “In New York alone we sold 1,200 bottles across our French whiskies within the first two months of launching, and since then our brands are slowly but consistently growing,” he says. “For now, it’s about building awareness on the French whisky category.” According to Impact Databank, French whisky shipments to the U.S. market were up 36.6% in 2017 to 108,000 proof gallons. Allison Parc launched the single malt French whisky Brenne in October 2012 and the brand has grown steadily, with a current year-over-year growth of 42%, she notes. “Brenne is a truly unique brand, and we’re keeping our growth strategy laser-focused,” Parc says. As of last year, Brenne is part of craft spirits specialist Samson & Surrey’s portfolio, a partnership Parc says will help bring the brand to the next level of success and consumer awareness. A large part of Brenne’s marketing focus is on exposure and education. “Giving people the opportunity to taste Brenne allows them to experience what makes us stand out,” Parc explains. “We’re also working hard to create experiences that are both relevant and authentic to who we are as a brand and to the daily lives of our consumers.” For example, this year the brand is launching the “Brenne French Salon,” an event series designed to foster conversations among women around culture, community, and entrepreneurship, while also learning about Brenne. 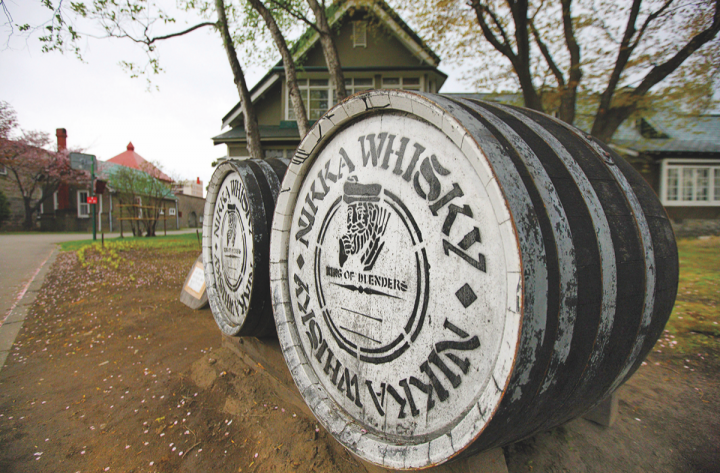 Increasingly, popular Japanese brands such as Nikka (Yoichi distillery barrels pictured), which grew 28% in 2017, have redefined what it means to be a single malt whisky. William Berkoff, beverage director for BevMax, a retail chain based in Stamford, Connecticut, has noticed that today’s consumers seem more sophisticated in general. “Our guests are traveling and tasting their way through countries, which has fueled their thirst for new and different products,” he says. The chain carries 36 different world whisky brands, which Berkoff notes is “practically every world whisky brand that’s available in Connecticut.” He adds that BevMax is one of the largest U.S. retailers of Bastille 1789 blended French whisky ($31 a 750-ml. ), but Japanese whiskies outpace all other world whiskies in sales, with Suntory’s Hibiki Japanese Harmony blended whisky ($70) leading the pack. 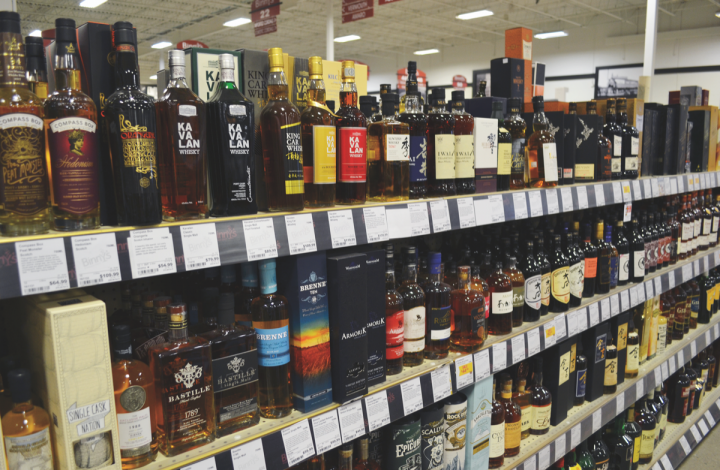 Chicago-based chain Binny’s Beverage Depot carries more than 30 world whisky brands, representing over a dozen countries. “They garner a modest percentage of sales but they’re growing rapidly—enough to warrant a ‘World Whisky’ section on our shelves,” says Brett Pontoni, specialty spirits buyer. He adds that the retailer’s top-selling world whisky is Hibiki Japanese Harmony ($65 a 750-ml.). “Japan is on fire right now, as are India and France,” Pontoni notes. “Much of the drive seems to be toward malt-based whiskies, and consumers are shedding preconceived ideas of what countries ‘should’ produce whisky.” Other brands outside of Japan that are selling well at Binny’s include Amrut ($70-$180 a 750-ml.) and Paul John ($55-$290) from India, and Armorik ($45-$120), Brenne ($60-$100), and Bastille ($32-$80) from France. Japan's whiskies are booming on-premise. New Jersey-based Ani Ramen House offers 50 different Japanese brands, including Yamazaki 18-year-old. There’s no question that Japan has cornered the world whisky market: According to Impact Databank, Japanese whisky shipments to the U.S. were up 34.7% in 2017 to 401,000 proof gallons. “The growth figures that we’re seeing don’t even begin to represent the true unconstrained demand in the market today,” says Lucas Erickson, senior marketing director for Beam Suntory. He adds that the Suntory portfolio—which includes Yamazaki and Hakushu single malts and Hibiki and Toki blends—has nearly doubled its business over the past two years. Today’s top Japanese whiskies have paved the way for new brands to enter the market each year. “The discovery of Japanese whiskies like Nikka by U.S. enthusiasts has really helped redefine what it means to be a single malt whisky,” Hotaling & Co.’s Robbat says. In 2017 the Nikka portfolio reached 45,000 cases sold in the United States, up 28% from the previous year, according to Impact Databank. The booming popularity of Japanese whiskies has reached the on-premise in a big way. As the availability of Japanese whiskies in the U.S. market continues to grow, all types of on-premise venues—though particularly Asian-focused ones—are collecting top brands to fill their backbars. 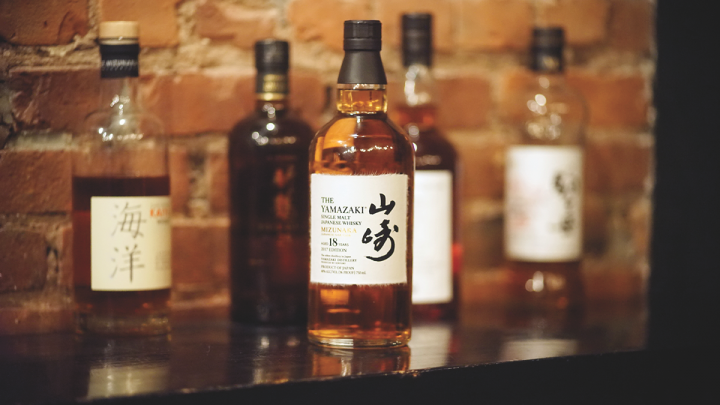 Ani Ramen House in Jersey City, New Jersey boasts an impressive 50 different Japanese whiskies, including rare and limited offerings such as Suntory’s Yamazaki Mizunara Cask 2017 Vintage for $150 a 1-ounce pour. Though American whiskies dominate the menu at the Houston whisk(e)y bar Reserve 101, it also features 16 different Japanese whiskies, ranging from Toki ($10 a 1½-ounce pour) to Hakushu 18-year-old ($75). The bar also offers whiskies from England, France, Taiwan, Tasmania, Spain, and Wales. 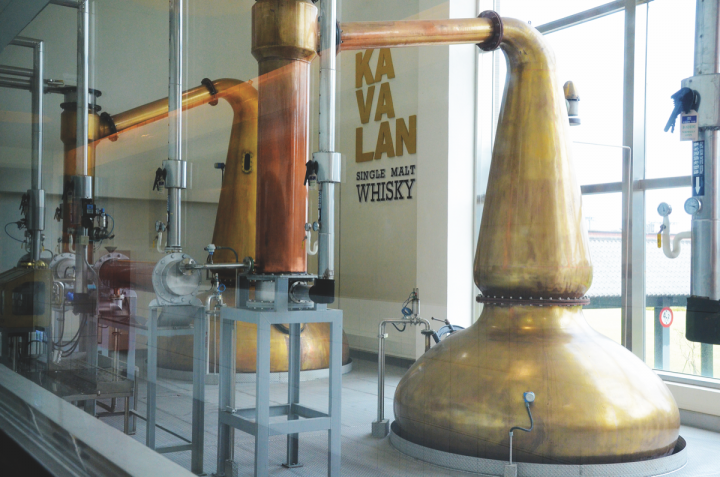 Imported by Hotaling & Co., Kavalan single malt (stills pictured) has put Taiwan on the map as a whisky-producing nation. Hotaling imports whiskies from Japan and New Zealand as well. The Japanese Highball has indeed taken the bar scene by storm, especially as Asian restaurants continue to be popular nationwide. At the upscale Chinese restaurant Imperial Lamian in Chicago, the Toki Highball ($11) is a simple blend of Toki and soda water with a lemon twist. The venue carries ten different Japanese whiskies ranging from Toki ($10 a 2-ounce pour) to Yamazaki 18-year-old ($55). At the Portland, Oregon-based Asian fusion venue Departure, The Story of the Treasure Ships ($18) is a twist on the Highball, featuring Toki, house-made hibiscus-jasmine tea soda, house-made bamboo syrup, and lemon juice. Three Indian single malts are now available in the U.S., including Amrut Indian whisky (pictured), which grew over 10% last year. 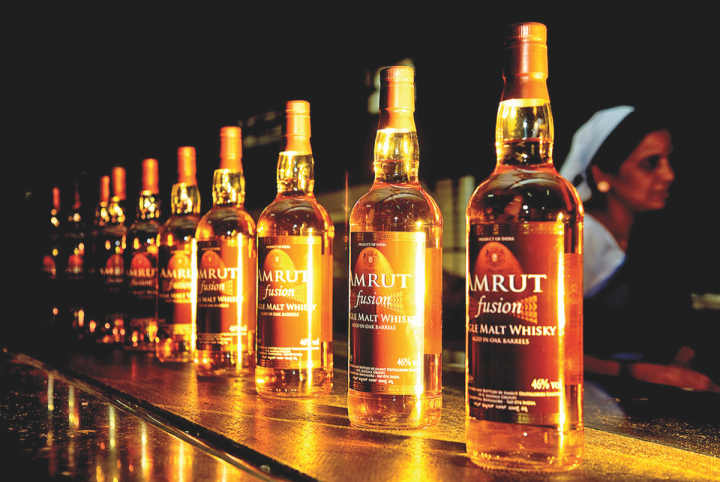 Sabharwal adds that Amrut Indian whisky alone has seen 10%-15% growth year over year, and the brand is now available in 45 states, up from just three when Glass Revolution first began importing it. The company plans to launch a Japanese whisky in 2020 and is also finalizing the details of adding whiskies from Germany and Denmark to its portfolio. 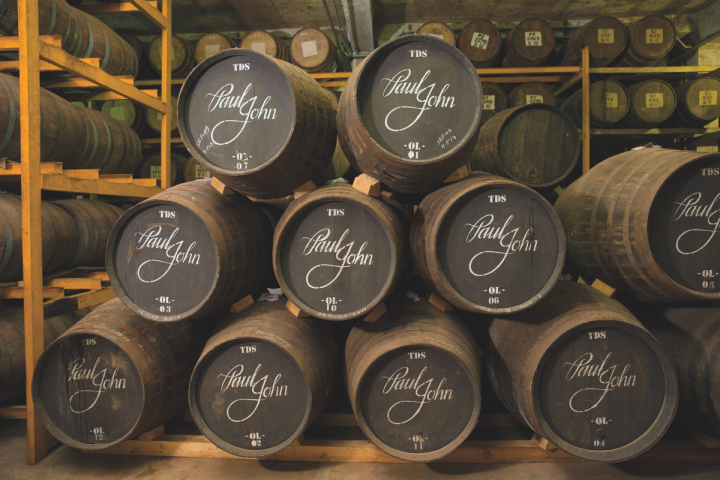 Chicago-based Binny's sells more than 30 world whisky brands, including selections from Japan and India (Paul John Distillery barrels pictured). “The world whisky category is still in its nascent stage, but there’s some healthy competition happening as more brands are introduced,” SG Worldwide’s Garg says. “The response to Rampur has been exceptional. We’re now present in more than 20 states in key retail chains and premium outlets like Costco and Total Wine & More.” He adds that the company plans to launch new Rampur expressions in the future, and will release limited-edition packaging to commemorate the 75th anniversary of Rampur Distillery in select markets by the end of the year.